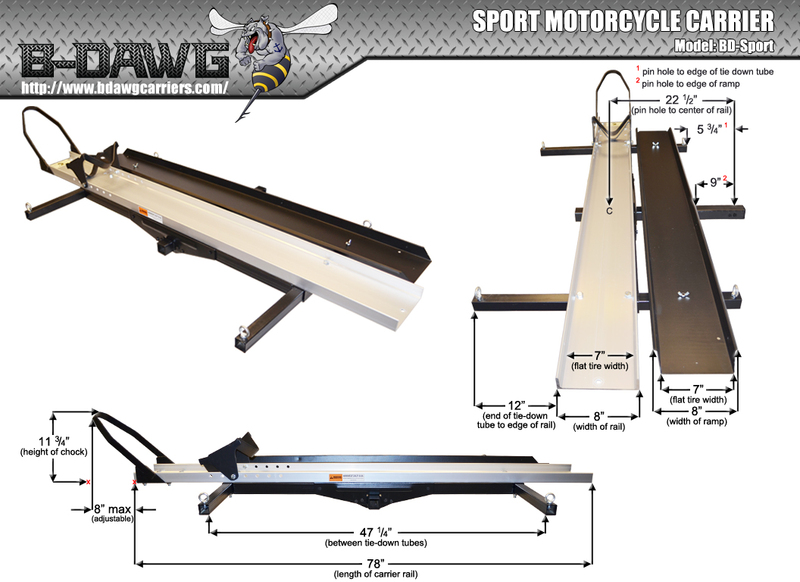 Introducing the B-Dawg® Sport, our brand new motorcycle carrier for hauling your sport bike. The B-Dawg Sport carrier features a sturdy steel frame, lightweight aluminum rail, and built-in adjustable wheel chock! The B-Dawg Sport is perfect for carrying up to a 600 pound motorcycle while taking up much less space than a bulky trailer. 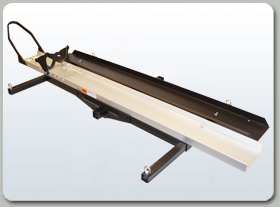 The BD-SPORT features a built-in adjustable wheel chock to stabilize your motorcycle while securing with tie-downs and during transport. 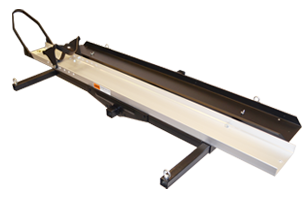 Also included with the carrier is a motorcycle ramp that easily stores away on the carrier when not in use, and a free anti-tilt lock bracket that will reduce extra movement of the carrier when on the road! Pin to center of rail: 24"